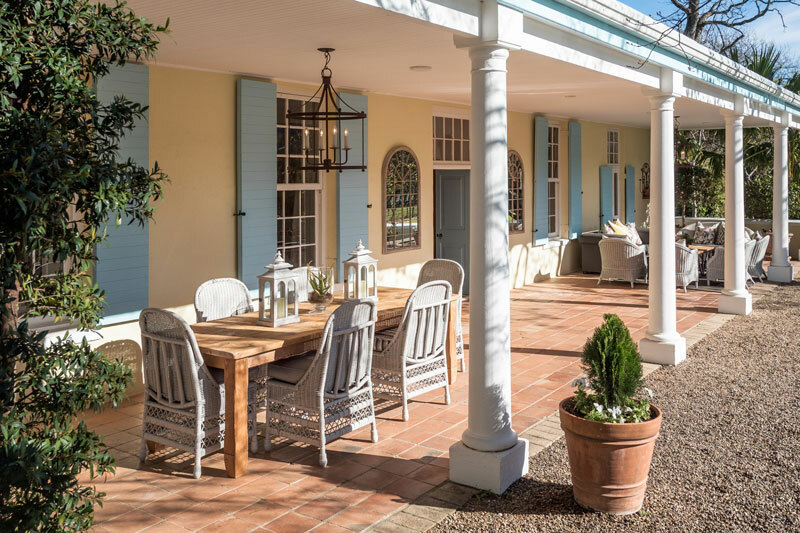 Have you noticed that almost every one of the best places to stay in Franschhoek is named after something French, or Frenchified to sound French? It’s not pretentious so much as it’s in keeping with its history – Franschhoek is the Cape’s French Corner. 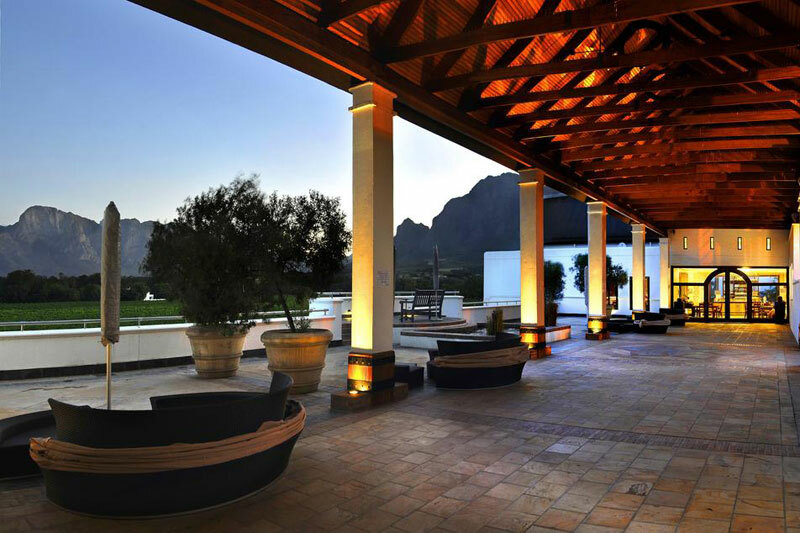 Regarded as the Winelands’ foodie capital Franschhoek’s main road is awash with restaurants, coffee shops, art galleries and chocolatiers. There’s also a hop-on-hop-off retro tram and bus that take visitors through the vineyards on one of five routes, linking 21 wine estates and cellars. You’ve the best of both worlds – town and vines – at La Cotte. You’re on a farm surrounded by vineyards, mountains and fantastic views, with main street on your doorstep. Choose from three beautiful garden cottages. 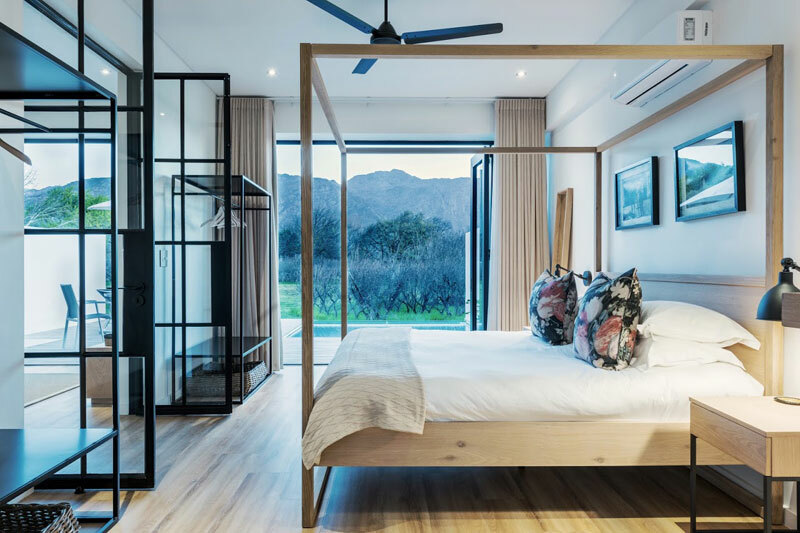 This guesthouse is the epitome of best places to stay in Franschhoek with sumptuous décor, grand furniture, walls hung with art and decadent chandeliers and mirrors. 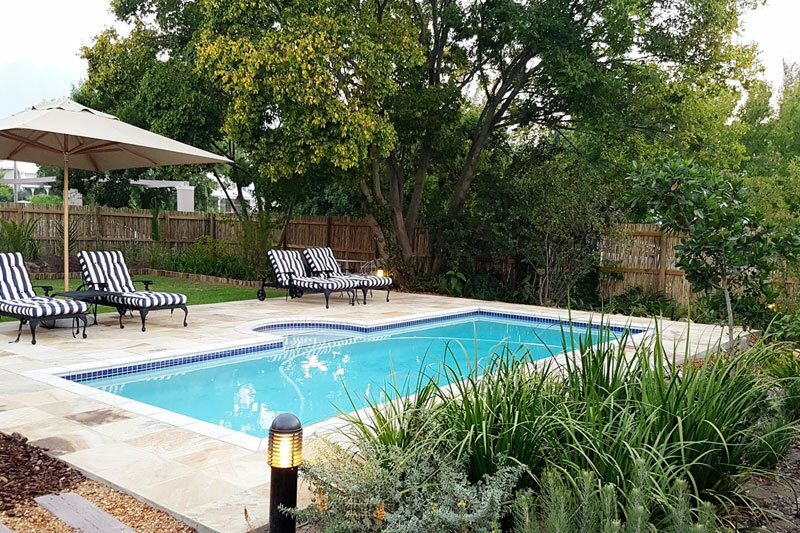 Not only are you perfectly situated to experience town, but there’s also a swimming pool and wonderful garden. 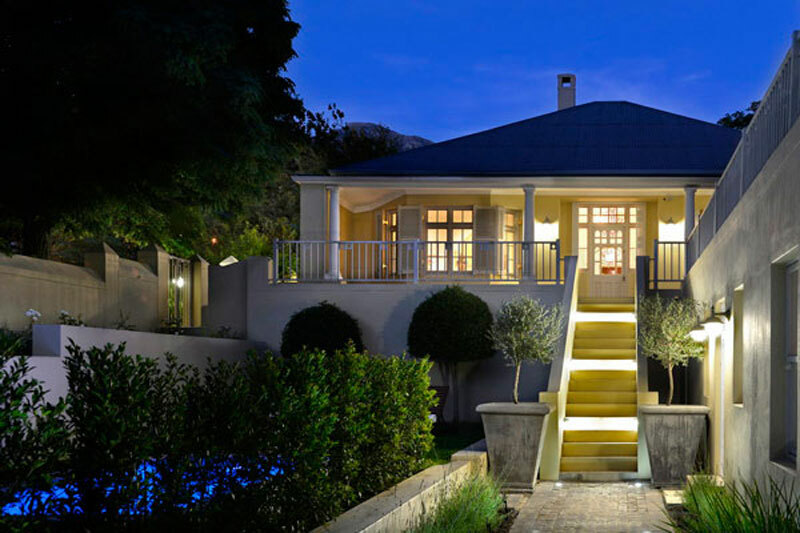 You’re going to love this beautifully restored Victorian house in the heart of the village of Franschhoek. The eclectic mix of antique and contemporary, the gardens, the Victorian roll-top baths and the four suites are a delight. 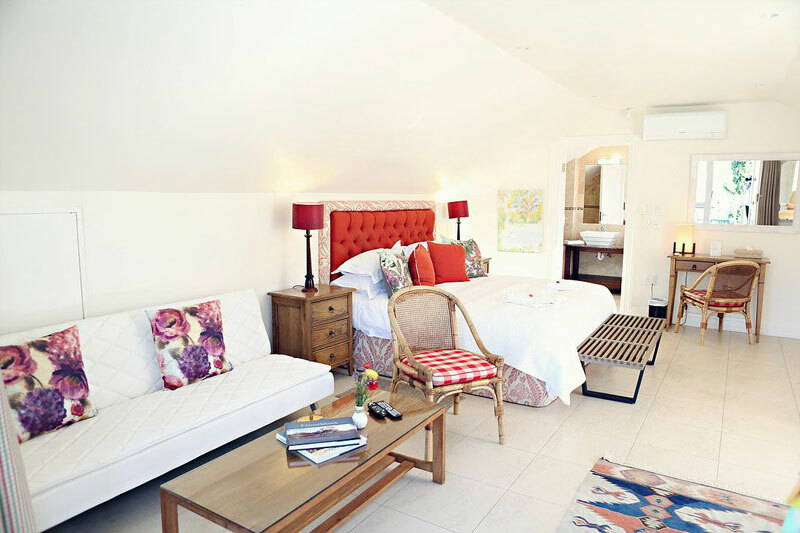 Choose from three luxury suites in this modern, light and classic-style accommodation option, each of which sleep two guests and have a balcony or private terrace. You’re perfectly placed to explore town’s foodie options from here. 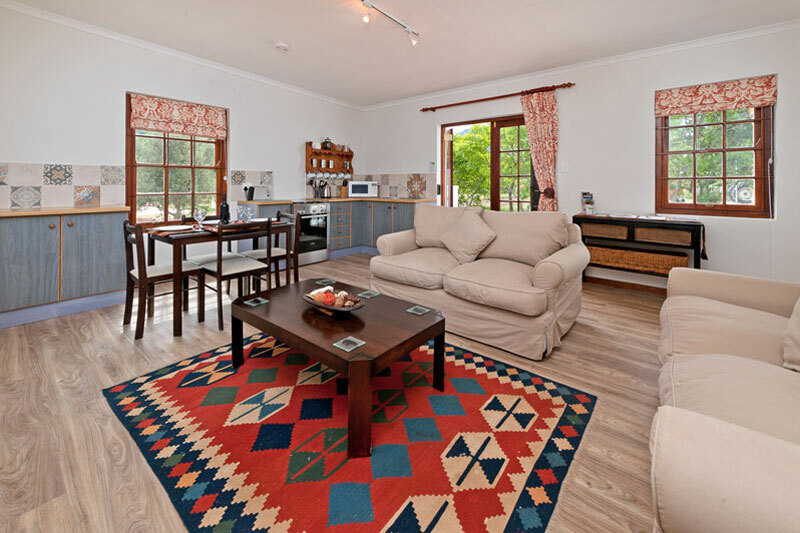 Stay in your own beautifully designed and decorated self-catering villa (seven in all), sleeping between two and eight guests, on the grounds of the historic Le Grange homestead, walking distance from the centre of Franschhoek. An ‘add-on’ to the Maison Chablis Guesthouse next door is a double room wing with its own private patio and swimming pool, making it a perfect base. Particularly as breakfast is included at the guesthouse alongside. 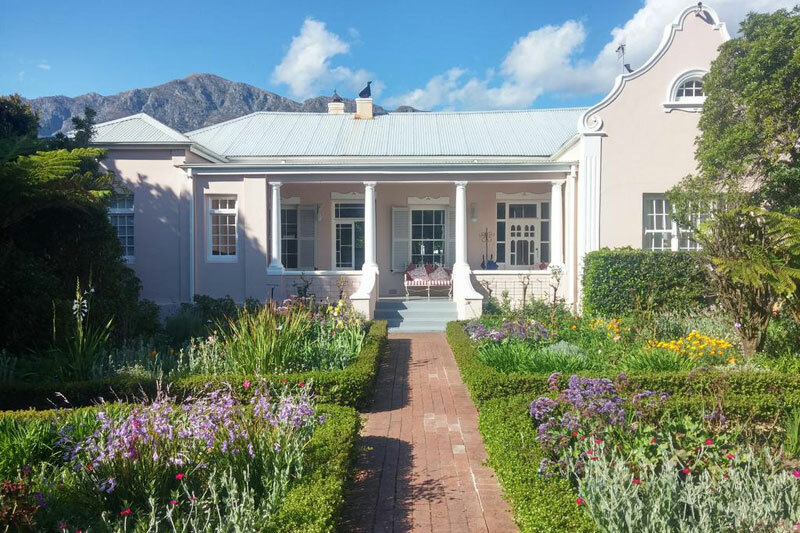 This historic gem is right in the heart of the quiet historic centre of the Franschhoek village with top restaurants in the country a mere stroll away. Not to mention the art galleries, coffee shops and museums. Select from eight beautifully furnished rooms and enjoy the pool area. 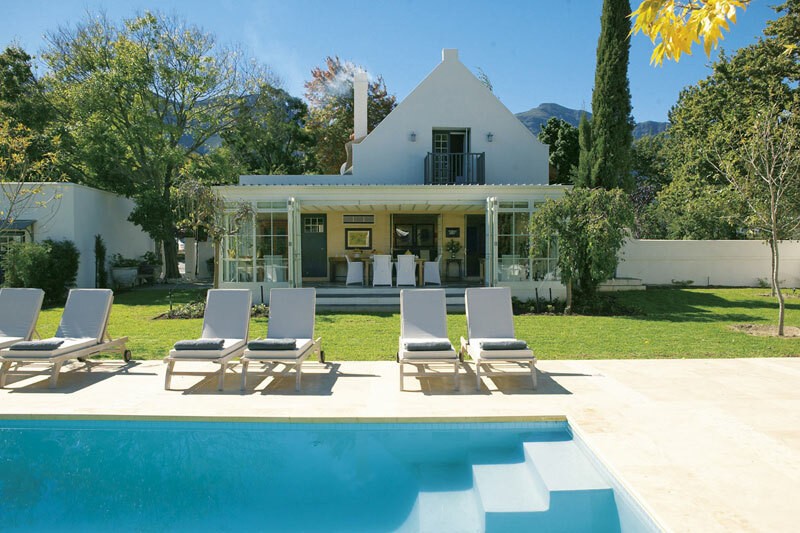 Choose from a couple of suites or a cottage opposite the swimming pool in this beautiful collection of best places to stay in Franschhoek. We love the clean lines, the attention to detail and the unashamed passion for white, with delightful snatches of colour. We’re in-love with the little touches, the pretty outside veranda, the hedge divide and the cute kitchen. 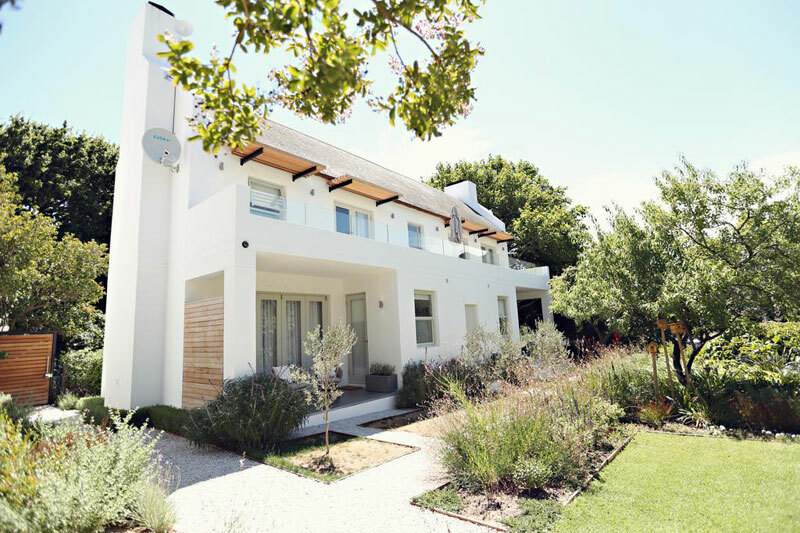 It’s a perfect base for those with a smaller budget, without having to lose any of that Franschhoek charm. 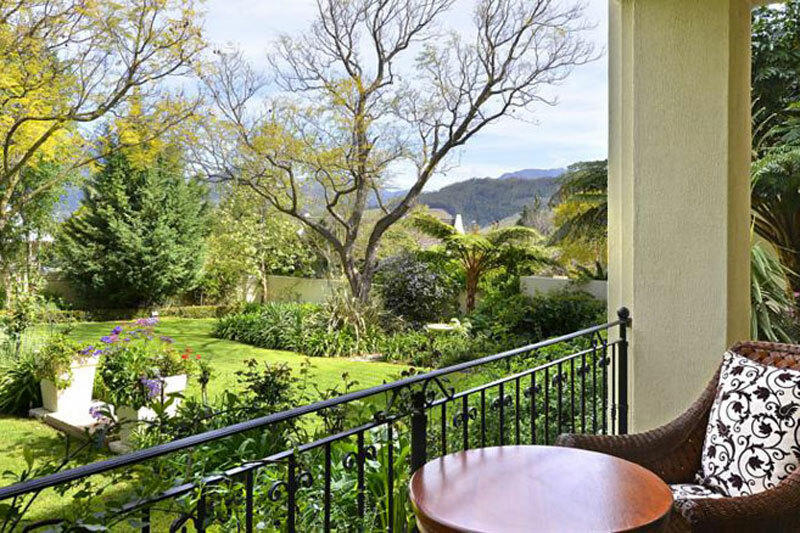 When it comes to best places to stay in Franschhoek Mon D’or ticks all the boxes, just outside town but close enough that a short drive is all it takes. Besides, take a look at the heavenly rooms – we particularly love the honeymoon suite. 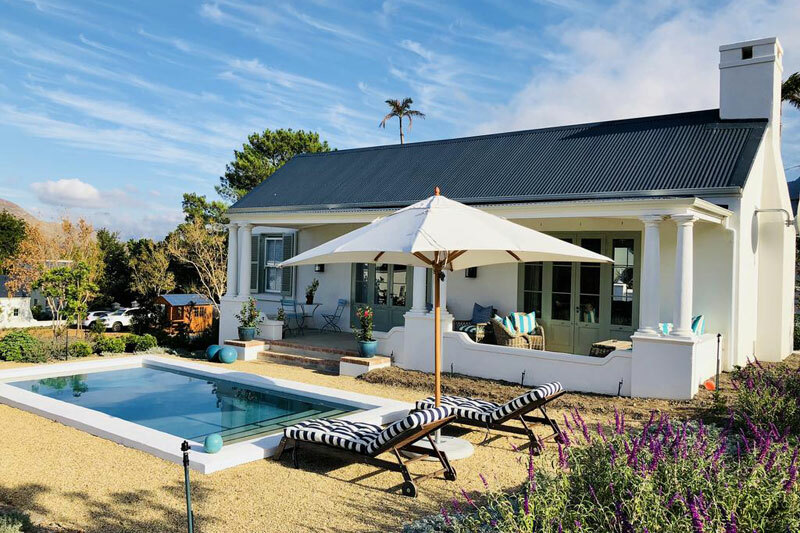 Winner of our Best Guest Cottages with Self Catering Accommodation in the Cape Winelands’ award (as voted by guests) these two pretty cottages lie in the boutique vineyard of a farm in the valley. 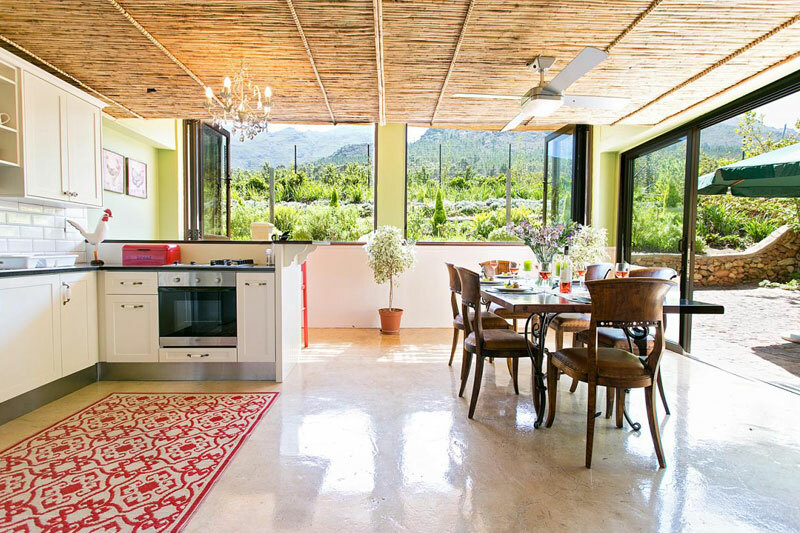 You’ll find these newly renovated cottages in a tranquil retreat on a working wine farm, surrounded by vineyard, orchards and mountains, only 5 km from Franschhoek. 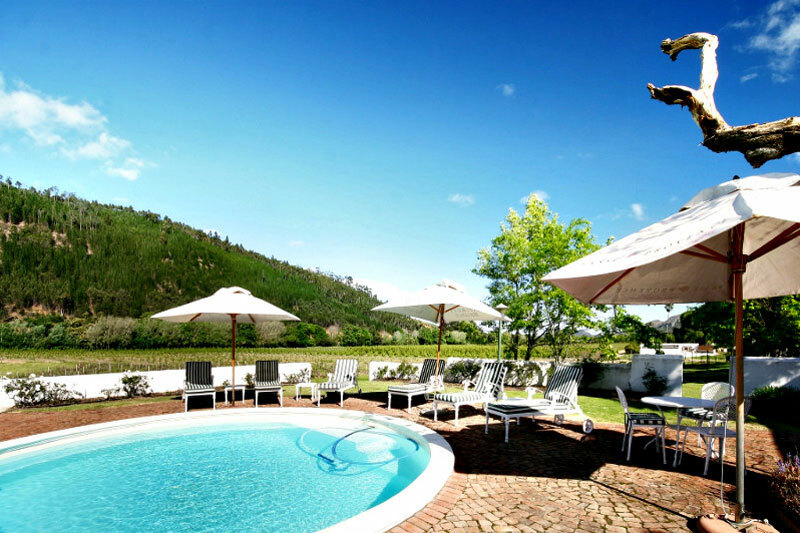 Family Cottage is a sun-filled gem, whilst Mountain Cottage overlooks peach orchards with its own courtyard. Choose from three cottages. One is attached to the historical manor house, the second is converted stables in amongst the vines, whilst the third is a private double storey between vines and horse paddock. And you’re only 2.5 km from Franschhoek’s main road. Grande Provence produces a series of vintage wines, including an award-winning selection. 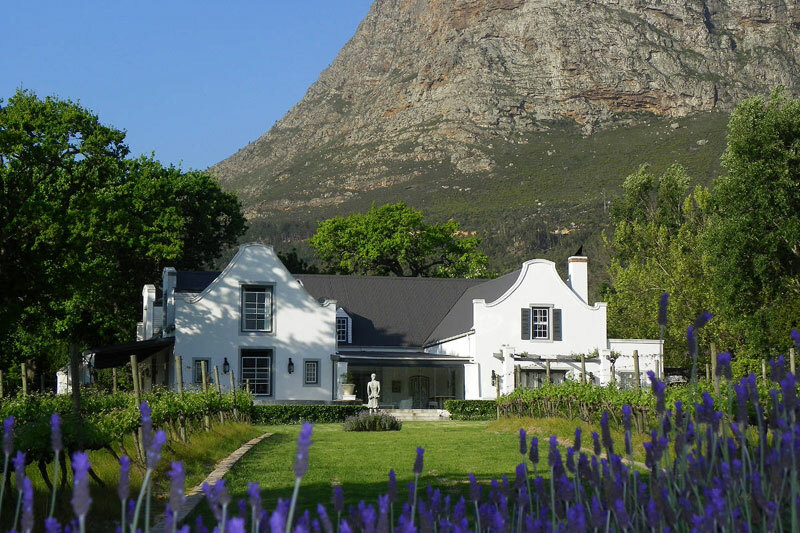 They’ve also a gorgeous 18th century Cape Dutch manor house for you to admire. They provide a series of suites in their Owner’s Cottage and La Provençale. This is country guesthouse charm at its best. 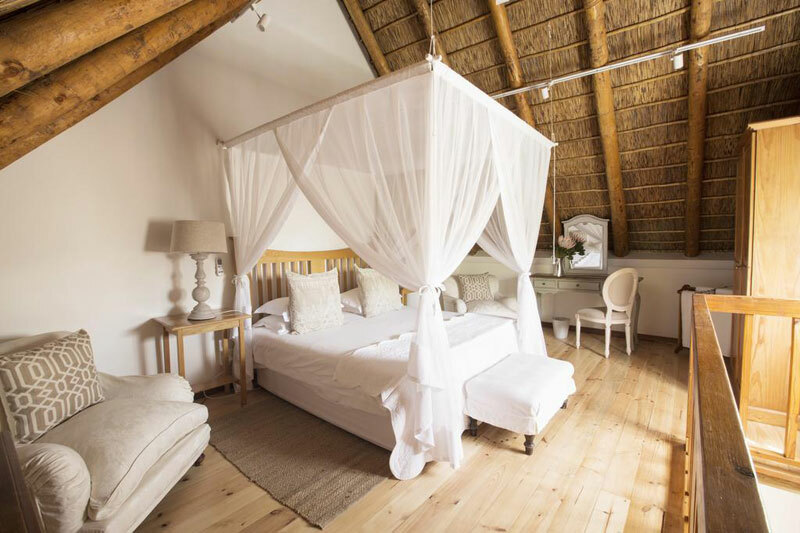 Choose between a self-catering Cape farmhouse with three bedrooms, a loft room (accessed by an outside staircase of its own) or six individually decorated en-suite rooms, including a honeymoon suite.You’re only a few minutes’ from the heart of Franschhoek. 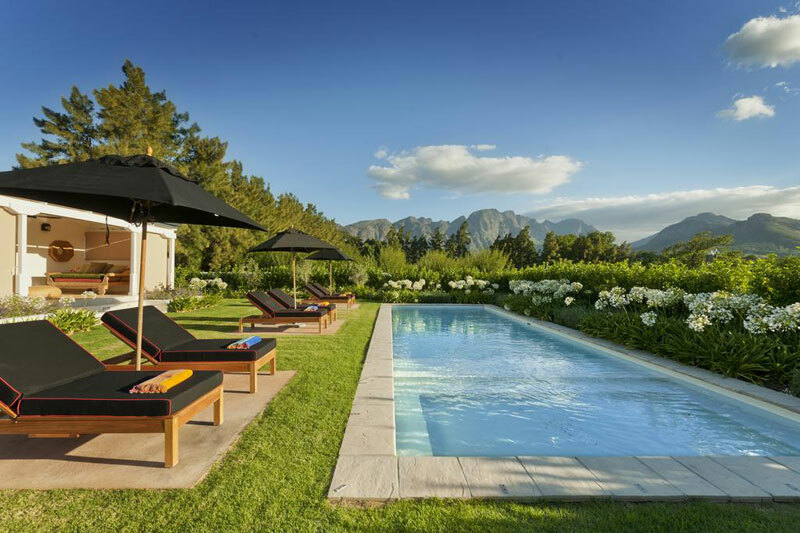 This wonderful boutique wine farm, surrounded by mountains and vineyards that extend as far as the eye can see, have three cottages on the Franschhoek River, and two Scandi-chic contemporary stable cottages with their own private pools. Your only anguish is which one to choose. 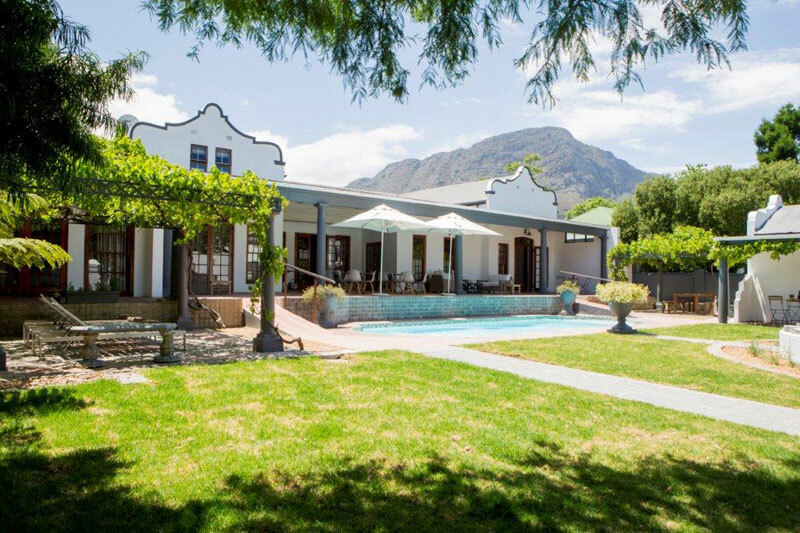 This farm stay only 15 minutes’ from Franschhoek provides five luxurious rooms in the historic manor house, and a further six rooms in the original Jonkmanshuis, giving you the perfect balance between a town and country weekend stay. 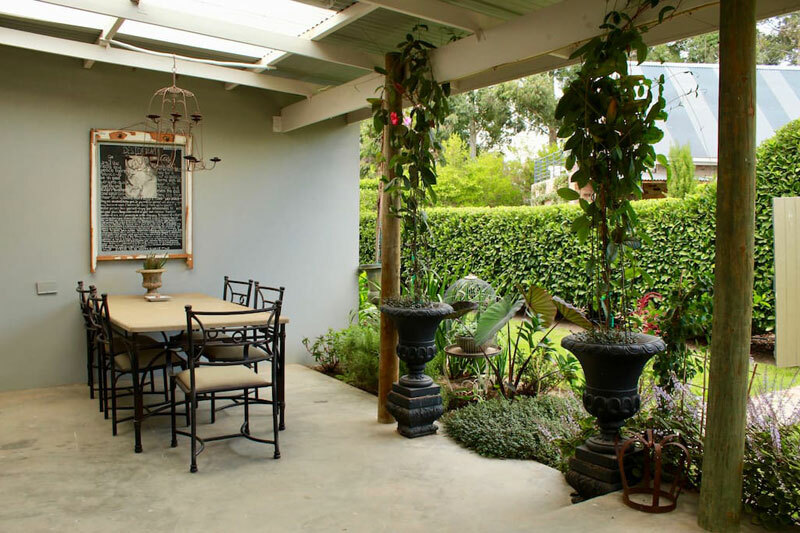 This beautiful Cape Dutch historic home on a wine farm, with 300 year old oaks and vast lawns, offers nine beautifully presented en-suite rooms (Manor and Elizabeth suites have their own entrances), and a two bedroom cottage in a private garden and terrace. Gentle country living on the banks of the Berg River with dramatic vineyard and mountain views, this lodge in Groot Drakenstein hass twelve en-suite bedrooms each with their own private entrance and veranda with access to the gardens.